I bought a few issues of Baseball Cards here and there, and I subscribed to it for a year or so at the end. I’ve got a bunch of these cards still in sheet form and, naturally, only one Met… The 1993 Eddie Murray. Even though they’re not really worth anything, I’d still like to pick up the rest some day. I think I subscribed in 1990 and 1991 after buying the magazine on the newsstand when possible in 1989. 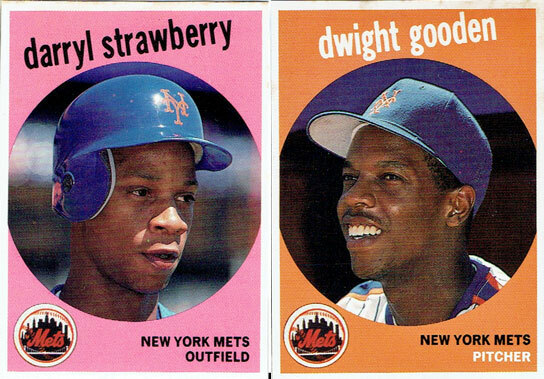 I found my panels of the 1990 & 1991 cards, but the ones I have from 1989 must have gotten put away somewhere else.